Recently anointed king of the Dark Court, Niall struggles to forge a new relationship with his subjects—and with the former Dark King, Irial, his once-friend, once-enemy, and now possible-advisor. Excerpt from Goodreads. 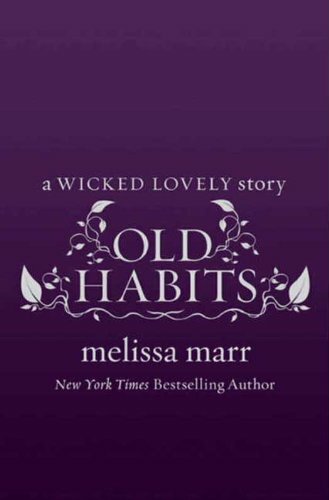 Old Habits is another wonderful novella taking place after Ink Exchange and let me say includes my 3 favorite men of the series Seth, Irial, and Niall. Where Stopping Time focused on Niall and Iri's love for Leslie. Old Habits centers on Niall and Iri's love for each other and Niall accepting his role as the new Dark King. I love how Melissa explores the depths of these characters and what they will sacrifice for each other.There's more violence in this one I love the battle scene with Develin. There's also a steamy scene for Iri I won't say with who since my reviews are spoiler free. I can't wait for Darkest Mercy and let me say I'm Team Dark Court all the way! 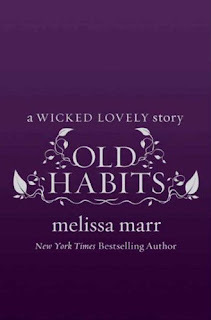 So if you're a fan of The Wicked Lovely series Old Habits is a must read. Jaimes review of Old Habits- 5 out of 5 stars.